Children love the maze like design of the Peek A Boo commercial playground structure from American Parks Company. There is nothing more fun than climbing to the top of a playground deck to explore slides, climbing opportunities, panels and more. Peek A Boo delivers engaging learning and physical activities for up to 45 children aged 2-12 years. A whimsical arch bridge connects both sides of the structure, while children can enjoy one of three different climbing options to scale it and access the top deck. 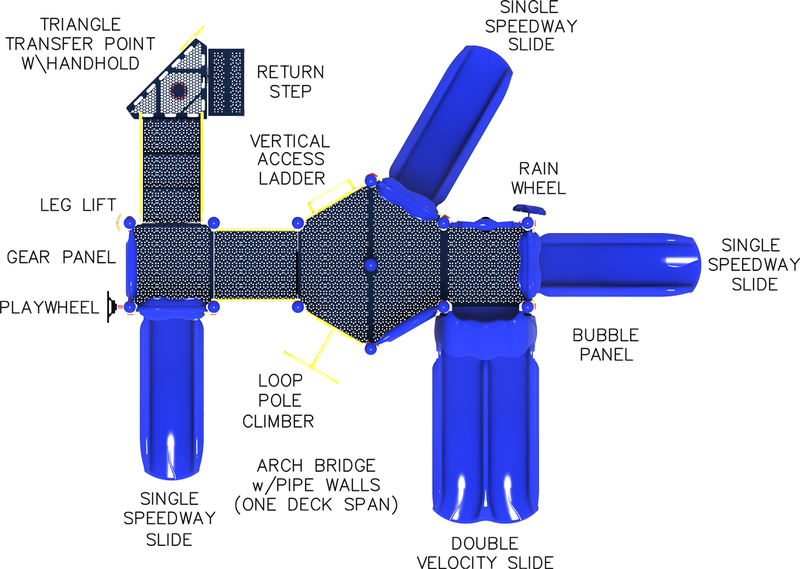 Once at the top, children can enjoy an educational Gear Panel that helps instruct on the principles of mechanics, or explore four different slides to the bottom. 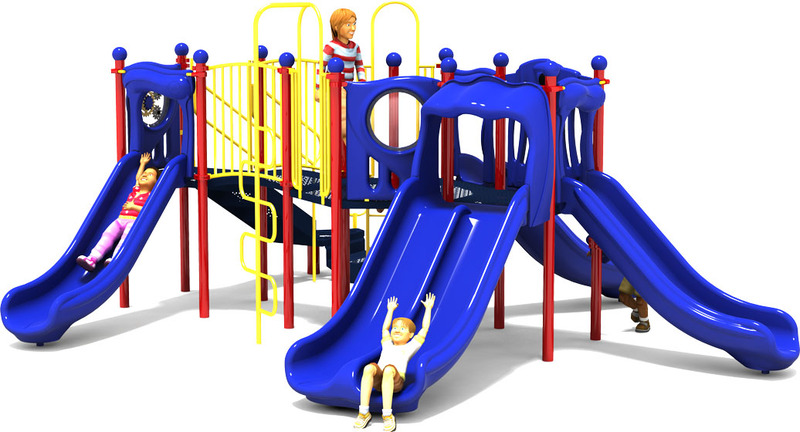 Choose from two standard color options in bright primary colors, or natural / neutral tones, or ask about customizing with a color scheme to match your existing building or other park structures. For additional safety we recommend our quality playground surfacing which comes in a variety of options including natural wood or durable recycled rubber. 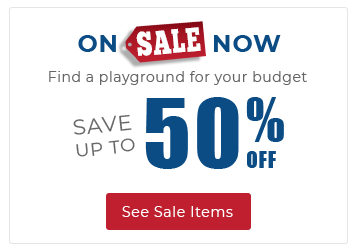 Trust the playground experts at American Parks Company to help you plan, source and select the right commercial playground structures, site furnishings and amenities you need to design your perfect park. 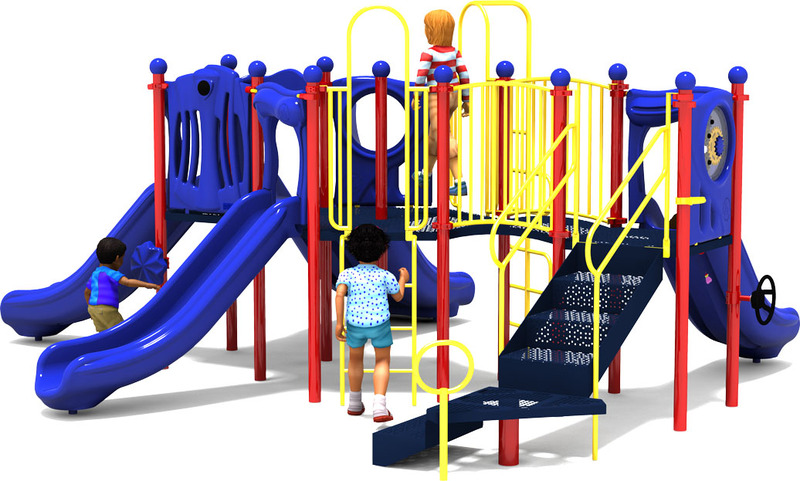 With more than thirty-years of experience we are a leading brand name in professional playground projects. Call us at 1-800-381-4491. 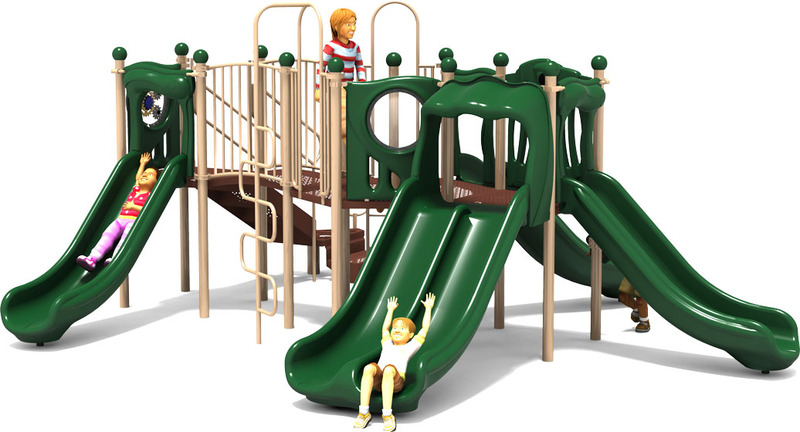 1 Double Slide, 3 Single Slides, 2 Vertical Climbs, a Playwheel, And More!